Everyone knows that if you’re having car troubles, Frank will fix it. 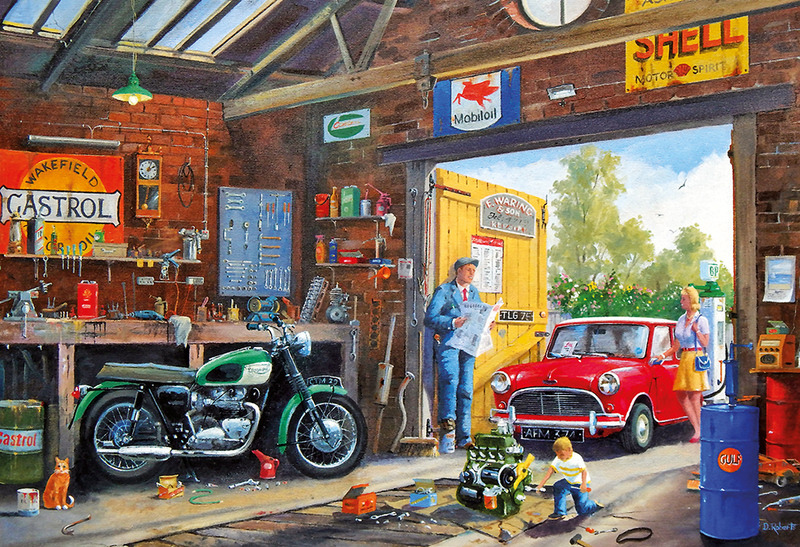 Whether it’s a worn brake pad or a faulty ignition, Frank and his little helper are bound to have the answer buried away somewhere in the busy workshop. 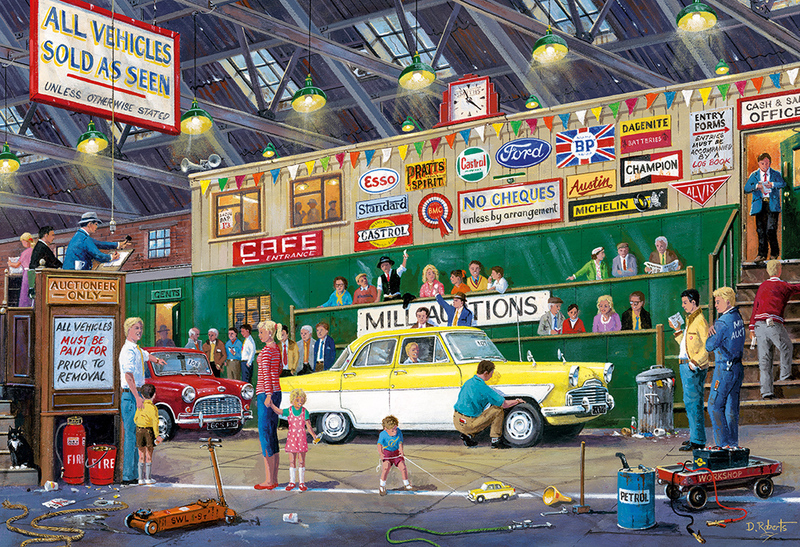 Gibsons jigsaw puzzles are made from 100% recycled, high quality puzzle board and are a joy to handle again and again. 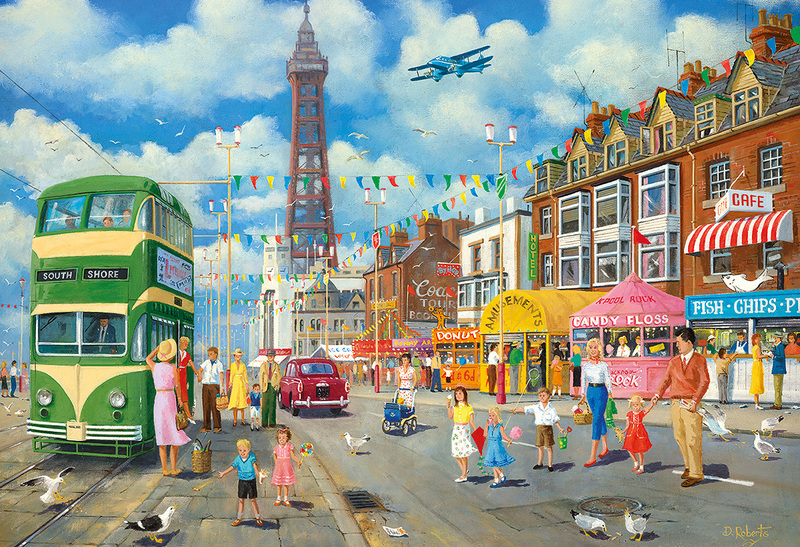 Beautifully painted by artist Derek Roberts.